We are super pumped to have put together a deal with our partners at Fireball Racing to offer this amazing kit at a steal of a price! 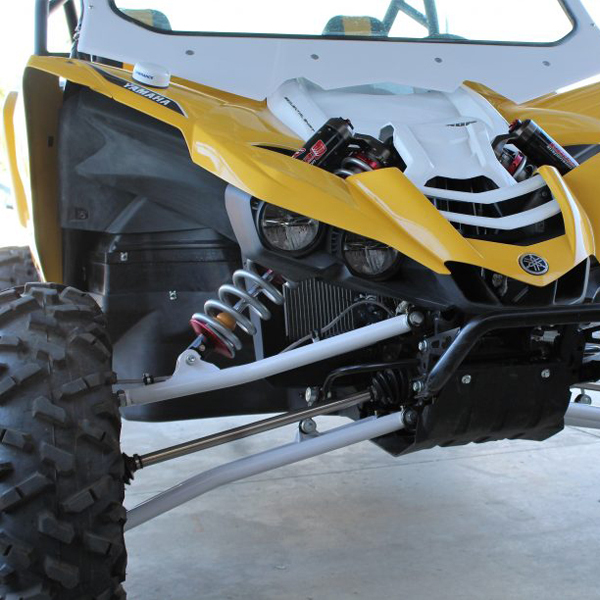 The Yamaha YXZ 1000R is one of our favorite rides and a best seller for suspension upgrades but options for arms has been limited to expensive kits with long wait times...no longer is this a problem! iShock has the complete Fireball Racing system on sale now, check it out! We've taken this system a step further and have available an Eibach Pro-UTV spring kit designed specifically for the Fireball racing kit and sold exclusively through iShock! Be sure to maximize your kits performance and add this spring kit to your order! But wait, yup, there's more! We've also got an option for a set of the most trechnologically advanced shocks on the market, the 2.5" Elka stage 5's tested and tuned just for this system! There is no lack of R&D here and this is certainly not the generic "off the shelf" shock package found with other systems...this is the real deal! Check it out!